While Scott Hargrove may be a Pirelli World Challenge rookie, you’d never know it from the early season results. Following four races – two in the 50-minute, single-driver “sprint” format and two in the 60-minute, two-driver “SprintX” system – the Canadian and his No. 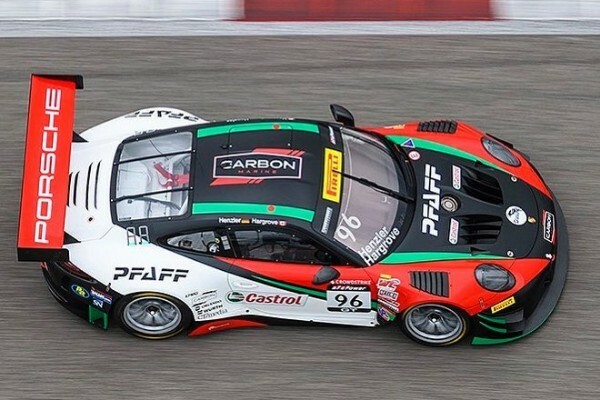 96 Pfaff Motorsports Porsche 911 GT3 R have two overall victories (Rounds One and Two at St. Petersburg, Florida), a third-place finish (Race 2 at the Circuit of the Americas) and a fourth-place (Race 1 at COTA). This places the first-year contestants in North America’s premier sprint format GT series at the top of the Overall GT Driver and Team standings leaving the Austin, Texas-area track. Hargrove, a Porsche Young Driver Academy graduate and two-time IMSA Porsche Ultra 94 GT3 Cup Challenge Canada by Yokohama champion, teamed with former Porsche factory driver Wolf Henzler (Germany) to lead the four Porsche customer teams in this weekend’s SprintX Championship season-opening rounds in Austin. While not the commanding performance of two victories like Hargrove enjoyed in Florida, the effort by the two drivers keeps the Canadian team in contention for each of the three available titles: Overall, Sprint and SprintX. In 2017, Patrick Long (Manhattan Beach, California) drove the Wright Motorsports Porsche 911 GT3 R to the Sprint and Overall Championships helping to give Porsche the Manufacturer’s trophy as well. Alegra Motorsports, also making their PWC debut in 2018, finished in sixth-position in both of the GT SX class races in Texas. Porsche “works” driver and full-season pilot for the Florida-based operation Michael Christensen (Denmark) teamed with Spencer Pumpelly (Atlanta, Georgia) in the No. 24 Porsche 911 GT3 R prepared by the 2017 Rolex 24 At Daytona GTD-class-winning Alegra effort. Black Swan Racing earned a podium finish in the Pro-Am class in Saturday’s 60-minute race. Tim Pappas (Boston, Massachusetts) and Jeroen Bleekemolen (Belgium) finished in third-place, ninth-overall, in the class. The following day, the pairing drove the No. 54 Porsche 911 GT3 R to fifth-place in class, twelfth-overall. GMG Racing made its return to the GT class with Porsche at COTA. The No. 41 entry shared by Porsche Young Professional Mathieu Jaminet (France) and home-state ace Alec Udell (The Woodlands, Texas) was a late entry for the race. Udell, the 2016 PWC GT Cup Champion and Porsche Young Driver Academy alum, quickly moved up from deep in the field on Saturday to as high as second-place. However, the team’s opportunity ended after the mandated driver change and four-tire pit stop at the race’s midpoint. When Jaminet returned the car to the track, a competitor made hard contact with the Porsche at the pit exit. The damage was severe enough to park the car in Round 1 and resulted in a previously undiagnosed power steering issue for Round 2. The car finished in a seventh-place. 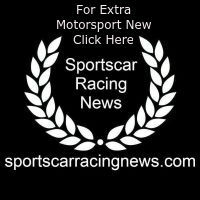 The Pirelli World Challenge will return to the Sprint format, April 13 – 15 at the ‘Grandfather of American Street Courses’, the Grand Prix of Long Beach in California.